Nancy loves fancy words. 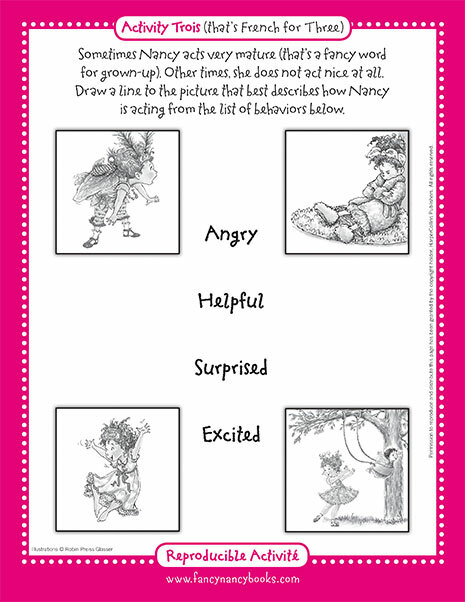 Can you help her finish this story by adding your favorite words? 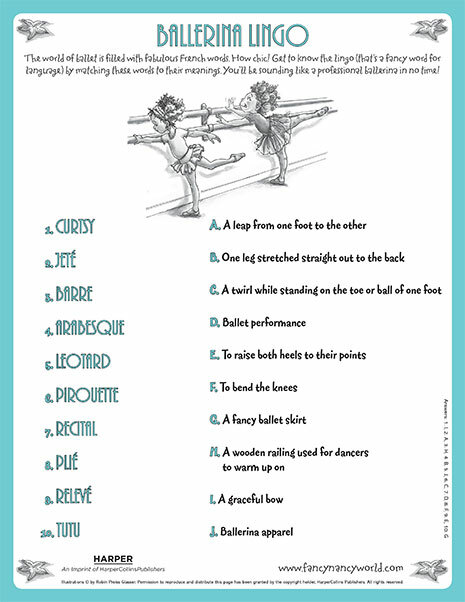 Become an expert ballerina by learning the lingo (that’s fancy for language)! 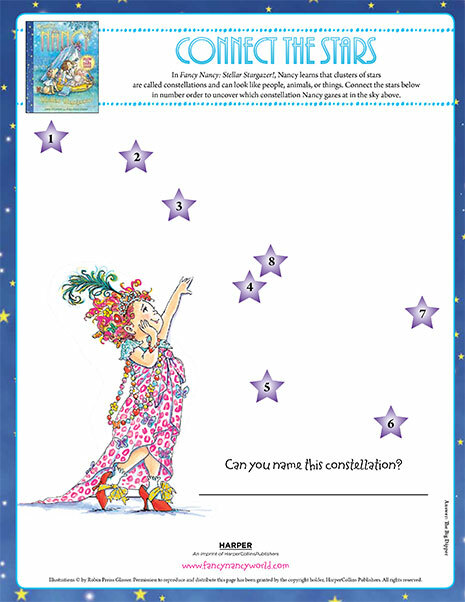 Find out which constellation Nancy is gazing at in the sky by connecting the stars! 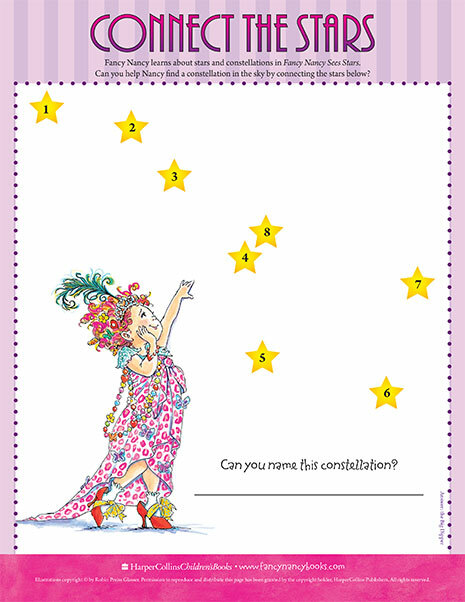 Connect the stars to find out which constellation Nancy is gazing at in the sky above. 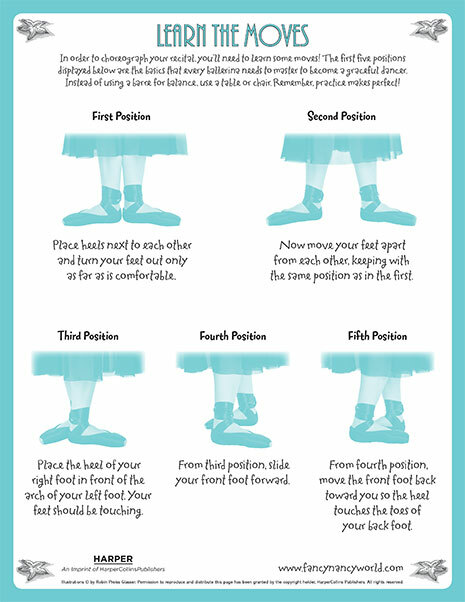 Choreograph your own ballet performance by learning the first five positions every ballerina needs to know! 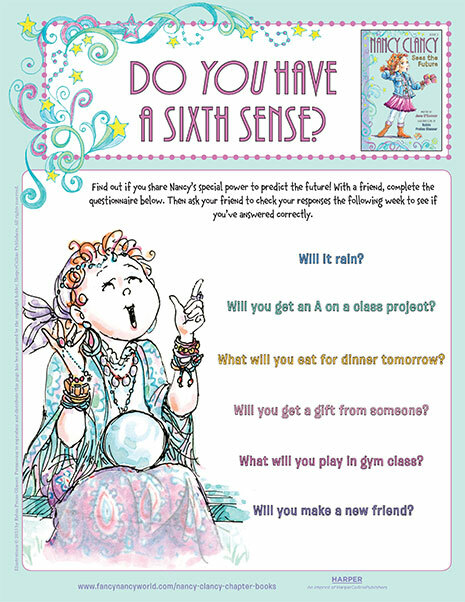 Find out if you share Nancy’s special power to predict the future! 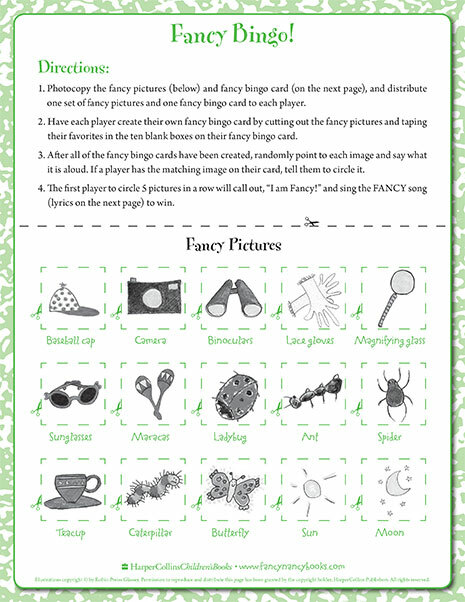 Play Bingo with all your fancy friends using pictures of things found outdoors! 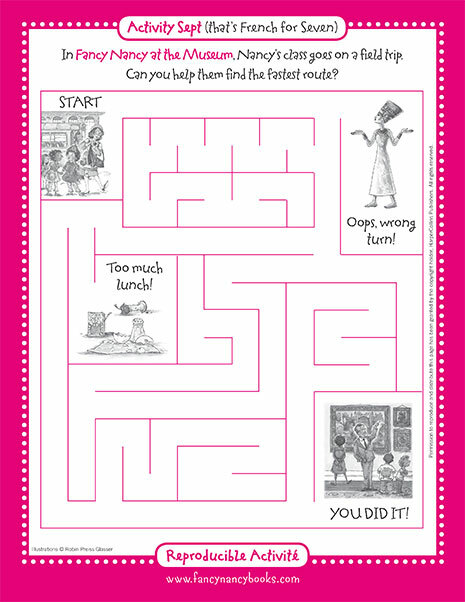 Help Nancy cross the finish line with this printable maze! 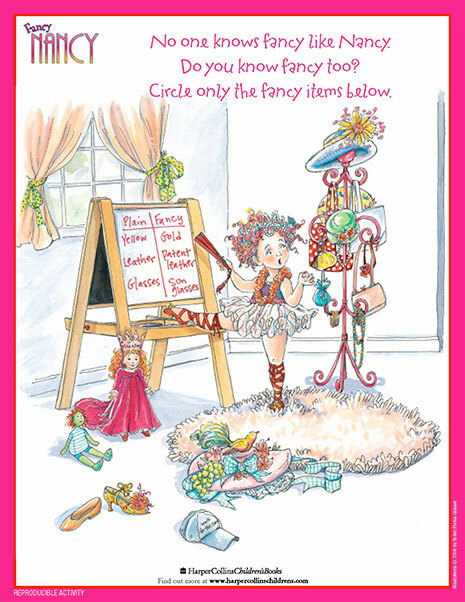 Fancy Nancy knows that using fancy words instead of plain ones is both educational and fun! 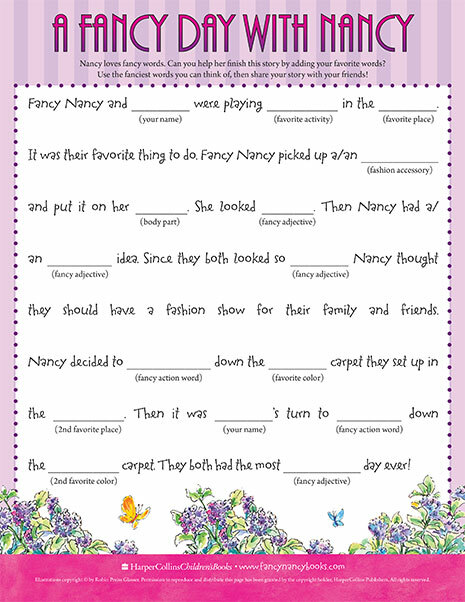 Use your favorite fancy words to complete this printable story. 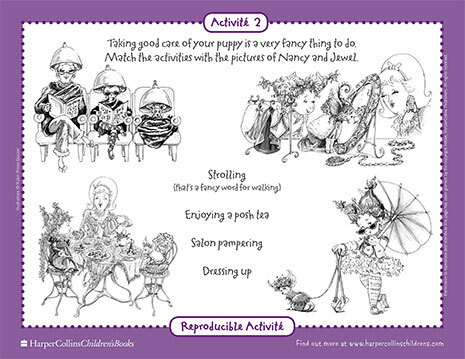 Nancy and her best friend, Bree, love to create fashionable outfits for their dolls (and themselves). 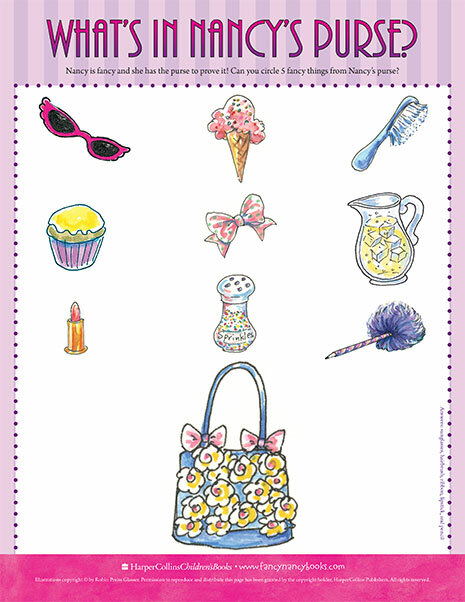 Learn new styles and fashion trends by playing this printable memory game with your best friend. 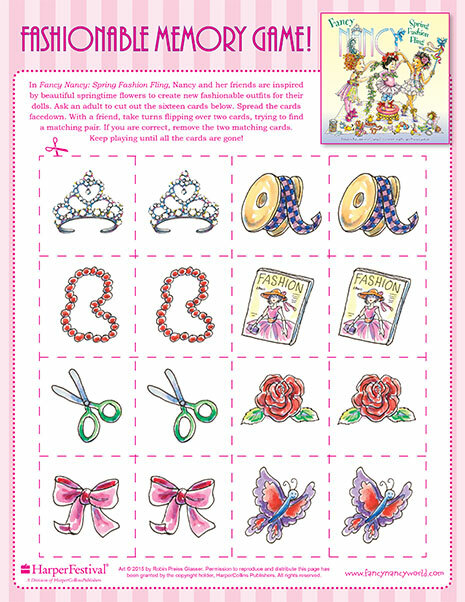 Spot the things that are fancy with this printable Fancy Nancy game! 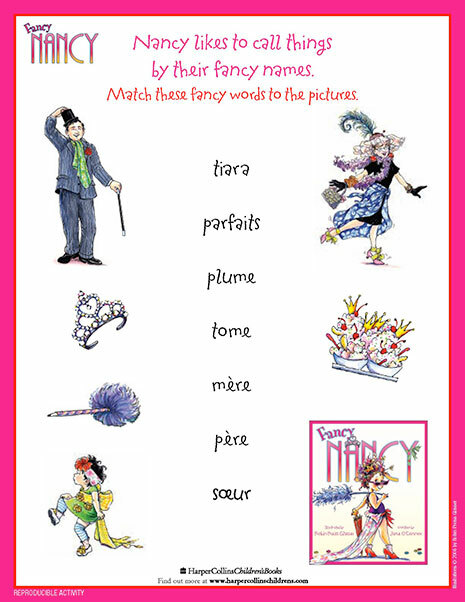 If you want to be fancy like Nancy, you’ll need to learn French! 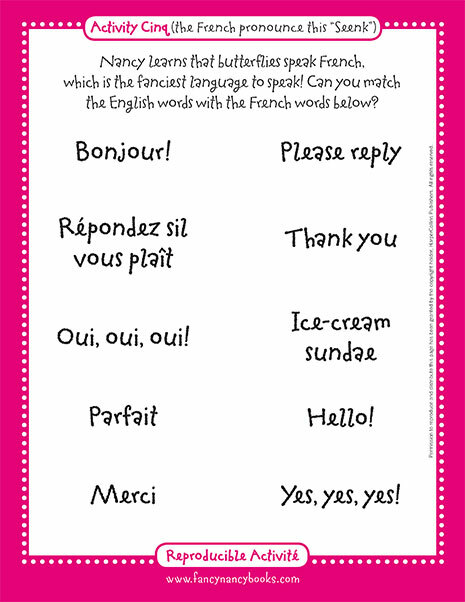 Practice your French phrases with this printable vocabulary sheet. Become an industry insider (that’s fancy for expert!) 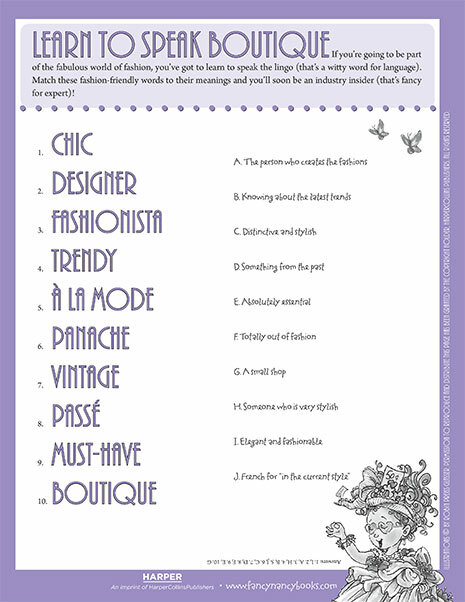 by learning the lingo of the fashion world! 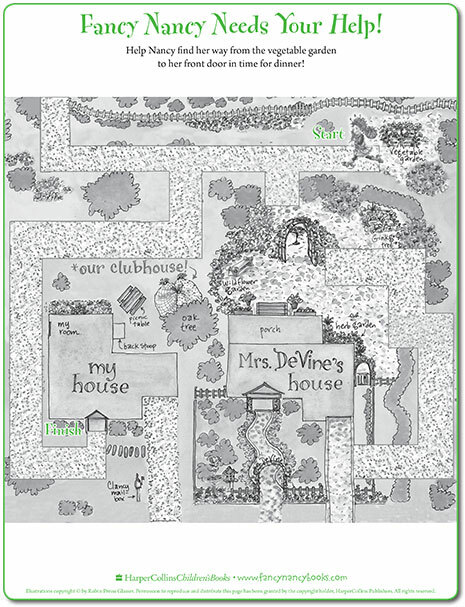 Using this printable map of Fancy Nancy’s world, help her find her way back home! 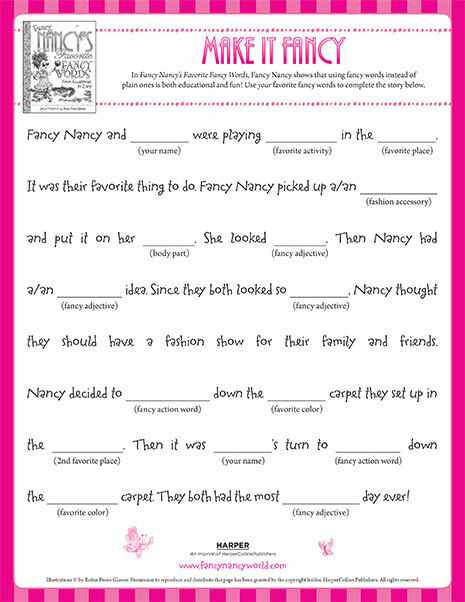 Draw a line to match Nancy’s behavior with the correct word with this printable vocabulary game. Can you find your way through the museum? 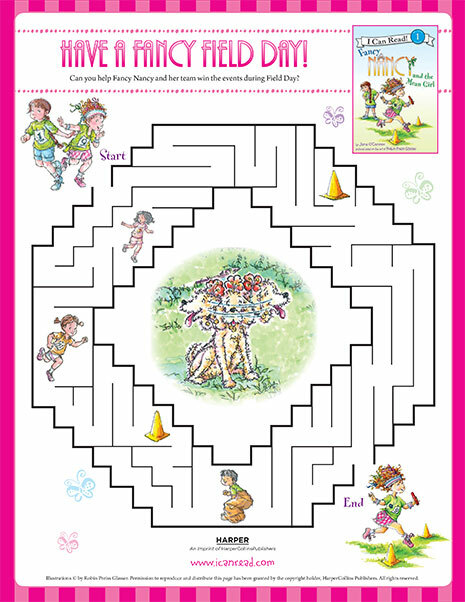 Find the fastest route with this printable Fancy Nancy maze. 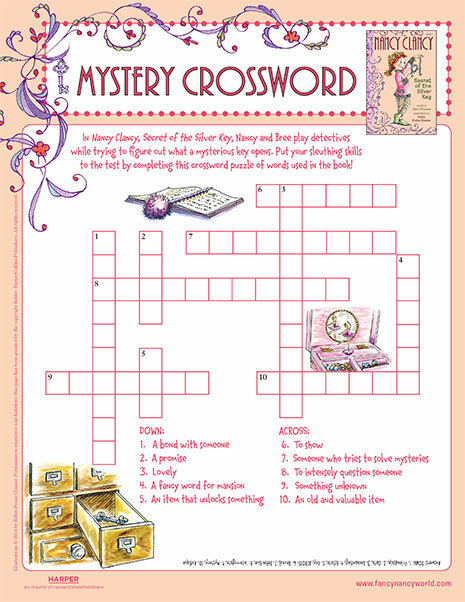 Put your sleuthing skills to the test with this printable crossword puzzle! 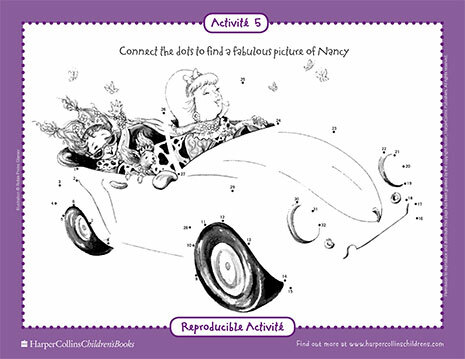 Find all the fancy essentials in Nancy’s purse with this printable Fancy Nancy game. Pick a state you’re interested in learning about, do some research, and then write down a fun fact about your state on the printable game sheet provided. In Nancy Clancy, Star of Stage and Screen, Nancy learns about Wisconsin. 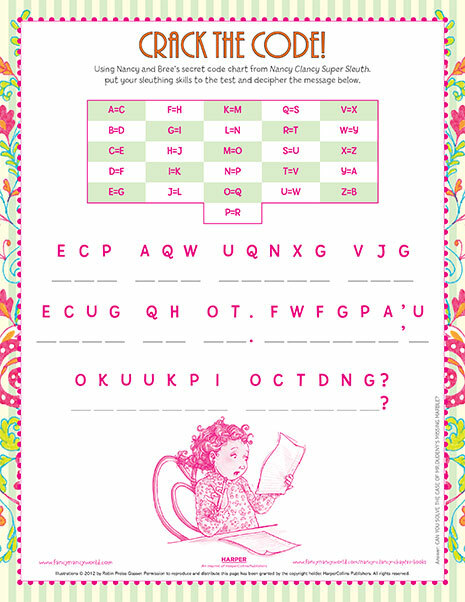 Learn the basics of poetry before writing your poetic masterpiece! There’s nothing fancier than the French language! 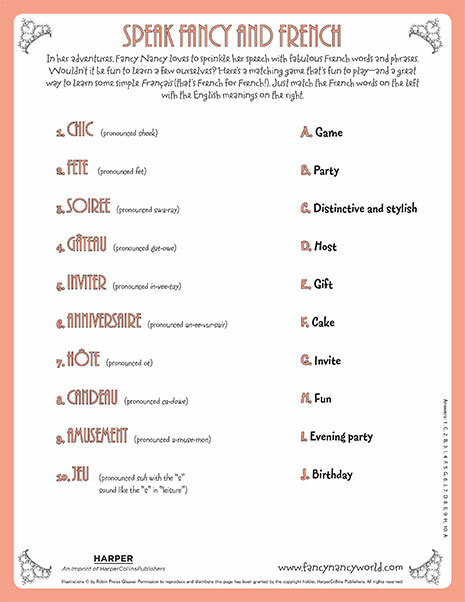 Match these French words to the pictures.